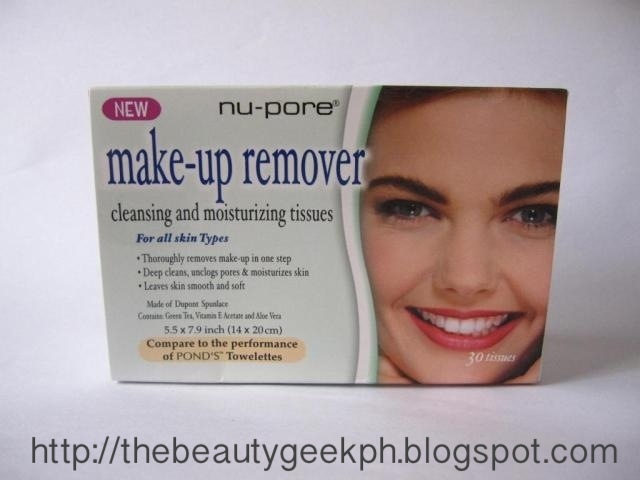 Nu-pore make-up remover cleansing and moisturizing tissues. Hello!! Sorry for being MIA, my dog Hoshi has been really sick lately and his case is fatal, which is why I can't sit and update my blog because I have to take care of him (we take turns here in the house) the moment I come home from work and I also take him to the vet every now and then to have certain procedures done. I hope you girls pray for his speedy recovery because he is like family to us already. We've had him for 6 years now - and he is my favorite pet among all the dogs I had. Dogs are really man's best friend! I really pray that he gets well soon. I even used most of my make up school tuition just for the bills at the vet, but it's okay because I can't afford to loose him anyway. I have to sacrifice the delay of enrolling to make up school and save up again for him. Now that he is getting a little bit better, I have time to spare to do a short review. 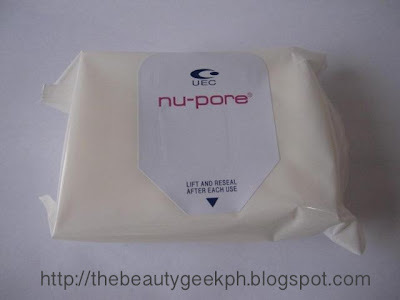 For tonight, I'll be sharing my thoughts about NU-PORE Make-up Remover Cleansing and Moisturizing Tissues. Taking away your make-up at the end of the day could be a bit of a task. Good thing cleansing tissues were made to ease up this task. Availability: I bought mine from Puregold Subic Bay Freeport Zone here in the Philippines. This may be available in most supermarkets overseas. Nu-pore cleansing and make-up remover tissues thoroughly remove eyeliner, shadow, lipstick and blush - even waterproof mascara - without irritation. 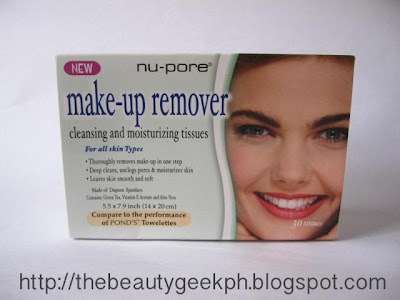 You feel a dramatic difference after just one use and continued use of Nu-pore cleansing and make-up remover tissues works to tighten pores, keeping skin looking and feeling smooth, soft and moisturized. It has a tab that reseals so as not to dry the tissues. 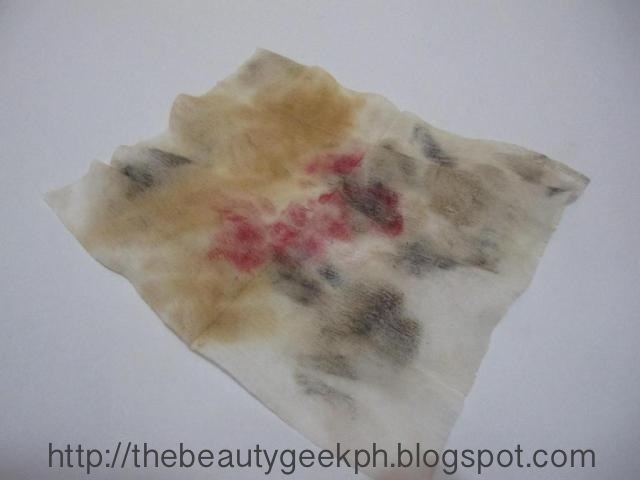 It is common knowledge that make up should be removed at the end of the day to prevent clogged pores and break outs. There are many kinds of cleansers in the market, but the advantage of this one is it is a one-step process compared to the others. You just have to pull out one tissue and wipe it all over your face. The product is really moist and has a light fragrance. It did take away my make up from heavy foundation to waterproof eyeliner and mascara. Although you have to apply more pressure when wiping out the waterproof eyeliner and mascara. It did moisturize my face after, you won't be needing to wash your face after with your ordinary cleanser as some make up removers require. It left my face softer and improved my skin's elasticity, the moisture of the wipes is similar to some collagen masks I know, only it is easily absorbed by the skin. I used all my heavy make up: MAC foundation, waterproof mascara etc. It did a great job in wiping them all away! Needs more pressure when wiping hard to remove make up like mascara and eyeliner. 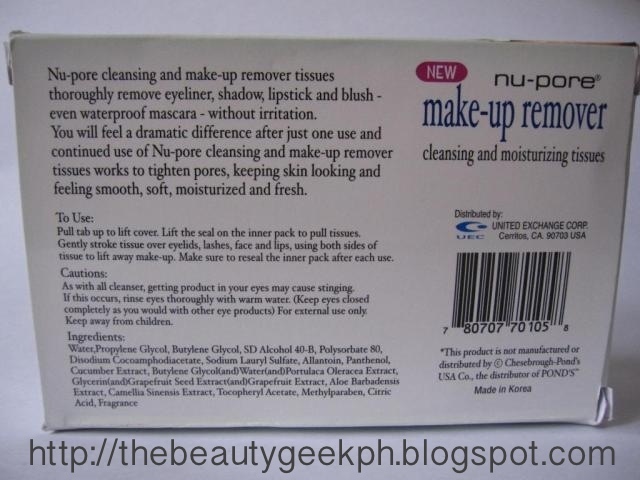 Very easy to use and it is good for those who are always on the go. Cheap, considering how much the product delivers. Leaves my skin soft and healthy.